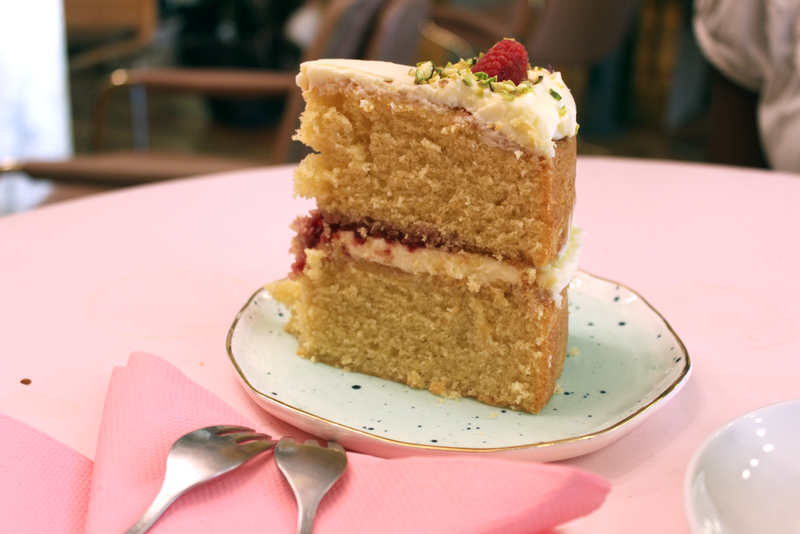 Pretty things aren’t always sweet If you’re no stranger to my blog then you would know that going to different eateries in London with my adventure buddy Zahra is one of my favourite things to do. A few weeks back, Zahra quote tweeted a blog post about this certain cafe. Intrigued by the picture, I clicked on the post and immediately added Palm Vaults to my ‘to visit’ list. Tired of spending my afternoons and nights drooling over their drinks, food and decor on their Instagram feed, I decided enough was enough. I called Zahra and we organised brunch. Set in the heart of Hackney, East London, we both made our way from different parts of the city to experience this 70s Miami vibe cafe. Unfortunately, by the time we got there, the cafe was closed due to technical problems they were facing. Gutted we didn’t get to experience the tropical green and pale pink velvet upholstery, we vowed to go back. We then hopped on a bus heading to Shoreditch to seek a new adventure. A few weeks on, we realised that we had forgotten to go back to Palm Vaults. 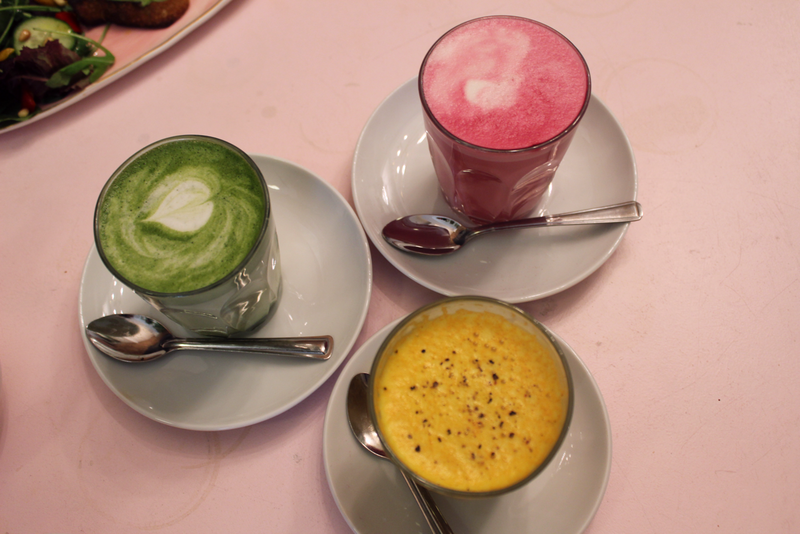 So we made a plan to head to Mare Street for their mouth watering colourful array of striking healthy drinks and food. On our way there, we looked through their Instagram feed to see which drinks and food we should try. I got the golden and velvet latte while Zahra opted for the matcha latte, avocado toast and victoria sponge cake with cream cheese frosting. The golden latte had a turmeric lemon grassy kick to it. The velvet latte was, however, tasteless. My friend Zahra compared it to dirty bath water. Yikes! The matcha latte tasted like a typical matcha treat – similar to green tea ice cream if you’ve had it. This was our favourite one. The avocado toast and Victoria cake was absolutely scrumptious. If you’re looking for a unique laid back cafe with vegan and even raw options, I would highly recommend Palm Vaults. The hype is very well deserved, the staff were super helpful and friendly.